The jewelry that has come in and out of my life over the years has had a profound effect on me, and ultimately, fueled my desire to be a jeweler. 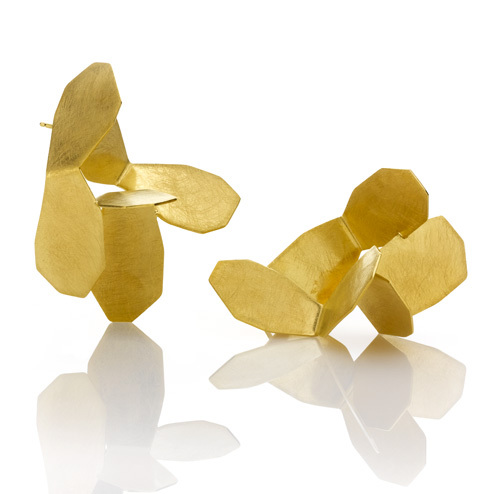 These special pieces changed my perspective on jewelry and form part of my history. 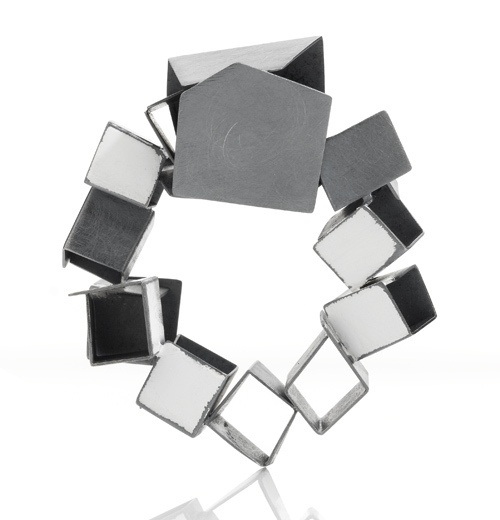 In “Fabricated Memory: Jewelry Box, 1980,” I created new works based on recollections of the contents of an old jewelry box and re-imagined through my formal language of shape and line, layering and repetition. In addition, significance lies in how the work exists in reality–arranged in a specific manner and viewed as a group, not just as individual pieces. This aspect stems from how I played with the jewelry box as a child, carefully arranging its contents over and over. In “Collected Memories: 1974-Present,” I analyzed the jewelry I own to discover patterns and to gain further insight into my history with jewelry. The completed installation serves as a timeline of my life with jewelry and a vehicle for intertwining events and people. 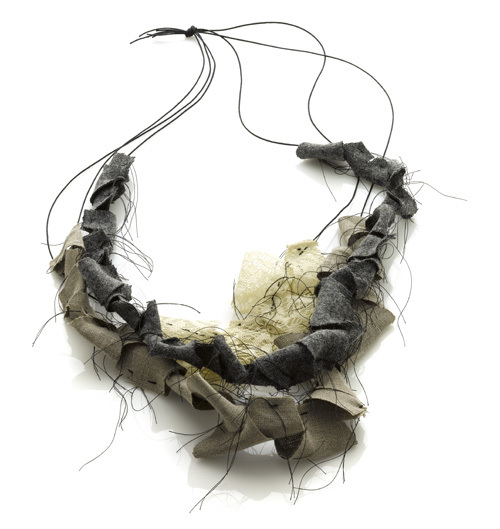 The works are made using materials I have collected and are assembled in such a way as to emphasize the impermanence and incompleteness of memory. “This is How I Remember It” chronicles my history and preserves my memories, as the individual pieces from my past act as primary inspiration. 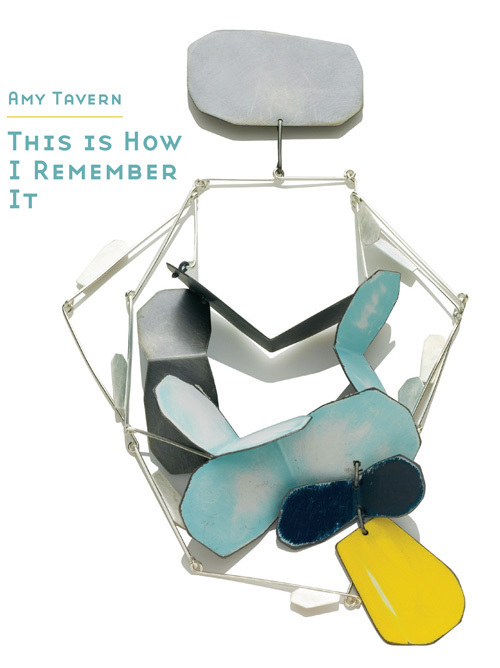 Tomorrow is the opening of the exhibition This is How I Remember It by Amy Tavern at Velvet da Vinci Gallery. Demà és la inauguració de l’exposició This is How I Remember It de l’Amy Tavern a la galeria Velvet da Vinci. This entry was posted by Montserrat Lacomba at 8:41 am. | This post has no responses. This post is filed under Blog, Exhibitions, USA and tagged with Amy Tavern, contemporary jewelry, Velvet da Vinci Gallery.